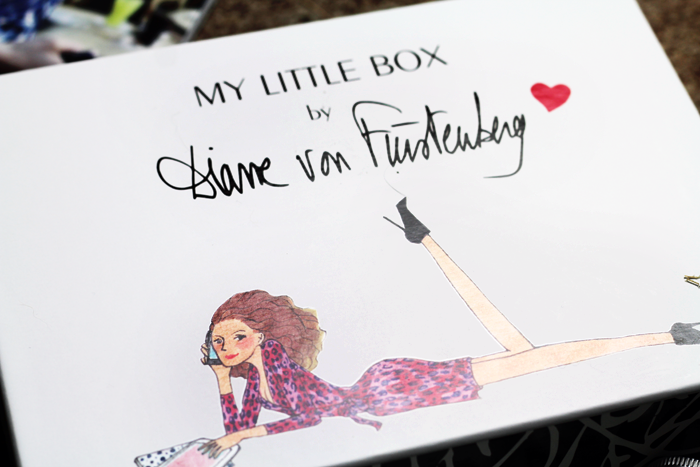 A collaboration between My Little Box* and Diane von Furstenberg initially feels a little odd because their aesthetics are quite different. 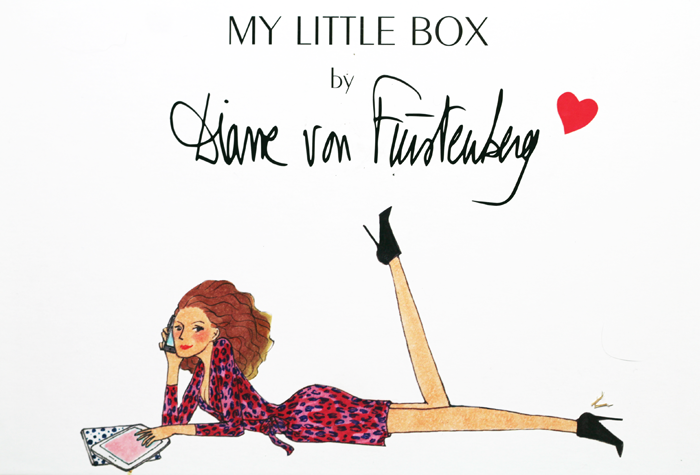 My Little Box is whimsical & sweet whereas Furstenberg's designs are bold & eye-catching. But I suppose their shared celebration (probably not the right word, I'm not being very articulate today) of women means this perhaps slightly unexpected partnership does make sense. Honestly? I don't think that this is one of their best boxes, but this is where it all comes down to personal taste. The scarf and the pin just aren't my kind of thing, but I appreciate that a lot of people will absolutely adore them. I'm all micellar-water-ed out, preferring oils to anything else to remove my make up, but I don't think I'll struggle to find a new home for this particular bottle. 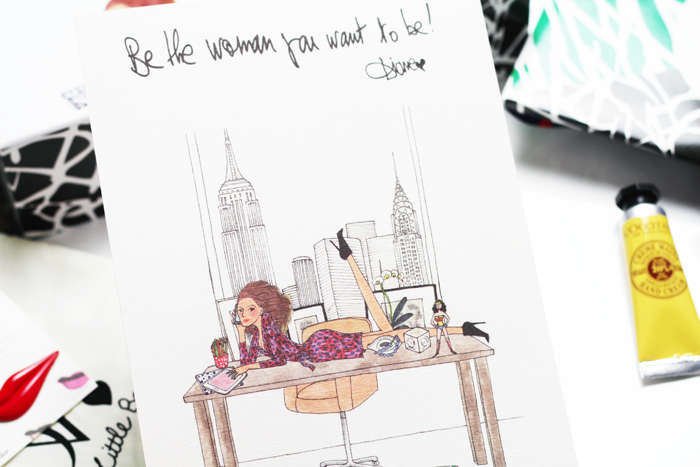 The print is lovely, with an inspiring quote and the usual sweet illustrative style that I've come to expect from the talented My Little Box team. 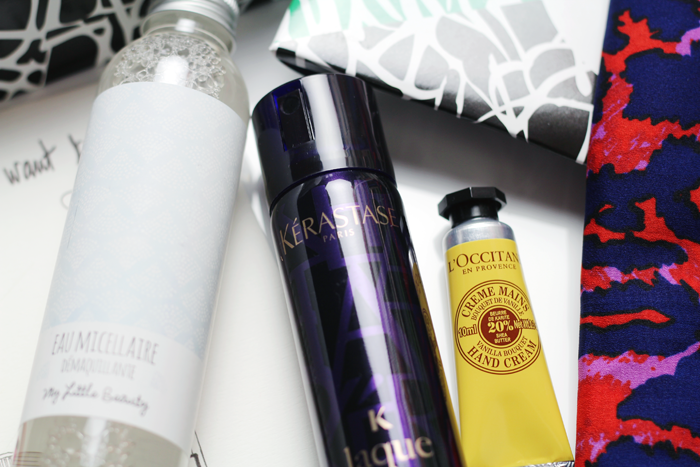 My Mum has already pinched the Kerastase hairspray and I'm always happy to have a mini L'Occitane hand cream on hand because they're always lovely. I don't know. I suppose the box just feels like it's missing something this month and perhaps it's because their previous boxes have been particularly impressive. 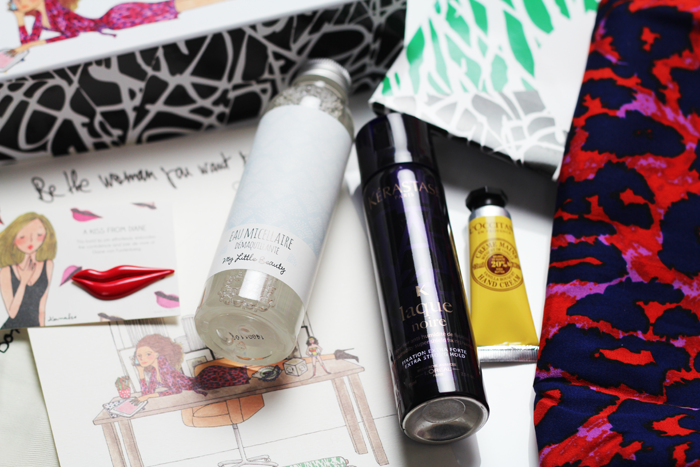 This isn't a bad box by any means, it's very well curated, with a lot of care put into the little details and it's still the subscription service I would recommend over all others at the moment. I hope they manage to regain their magic again next month. 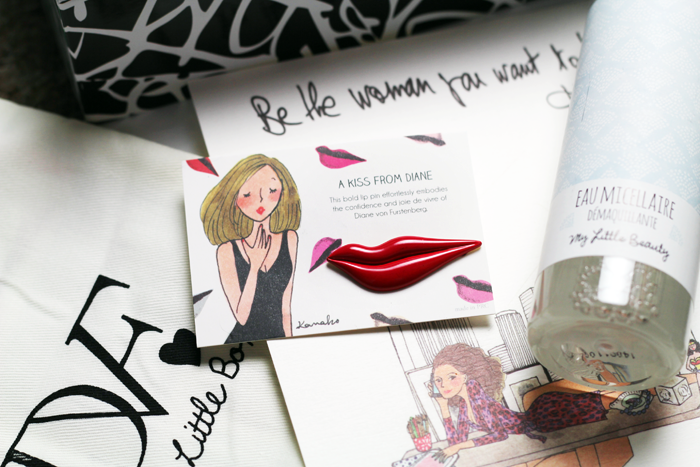 My Little Box constantly impresses me with their content, it breaks my heart that they don't ship to my country! 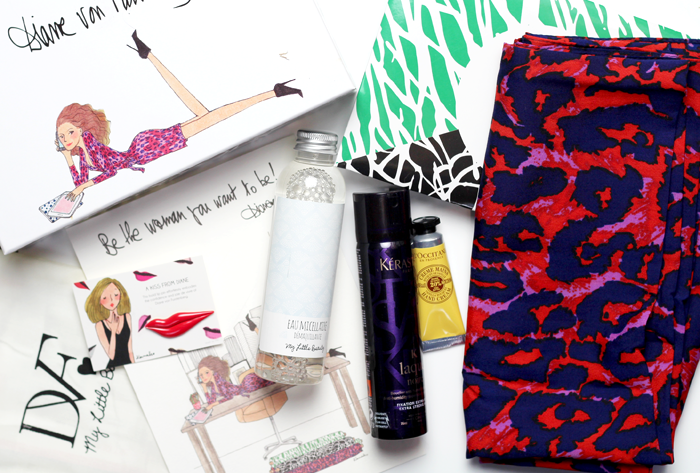 I haven't subscribed to My Little Box but I'm definitely going to look into it! I was really not impressed by this box at all! Your review was a lot more positive than mine, haha. Thanks for the review! 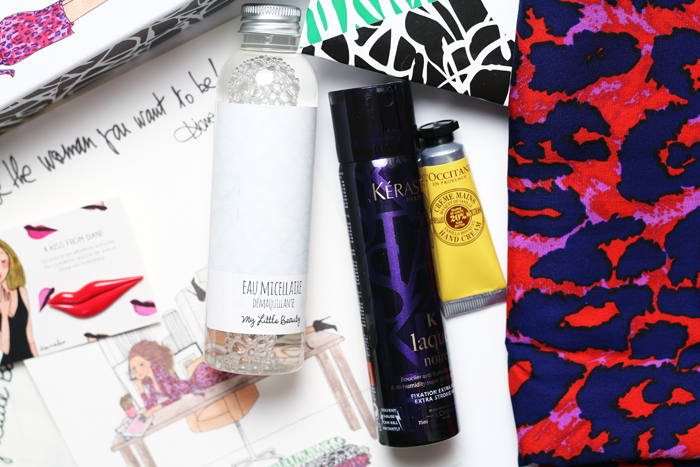 I love those mini L'Occitane hand creams to throw in my bag. I never really noticed it until you mentioned it, but she is definitely the epitome of loud print and boldness.